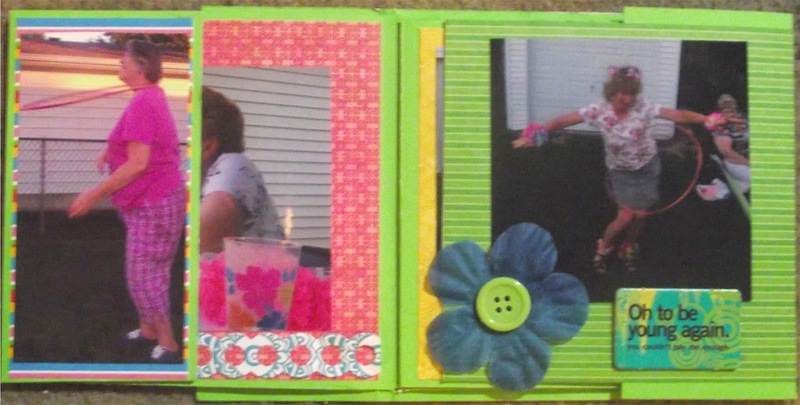 Today I'm sharing a mini-book I made (with lots of help from my good friend Maraline). 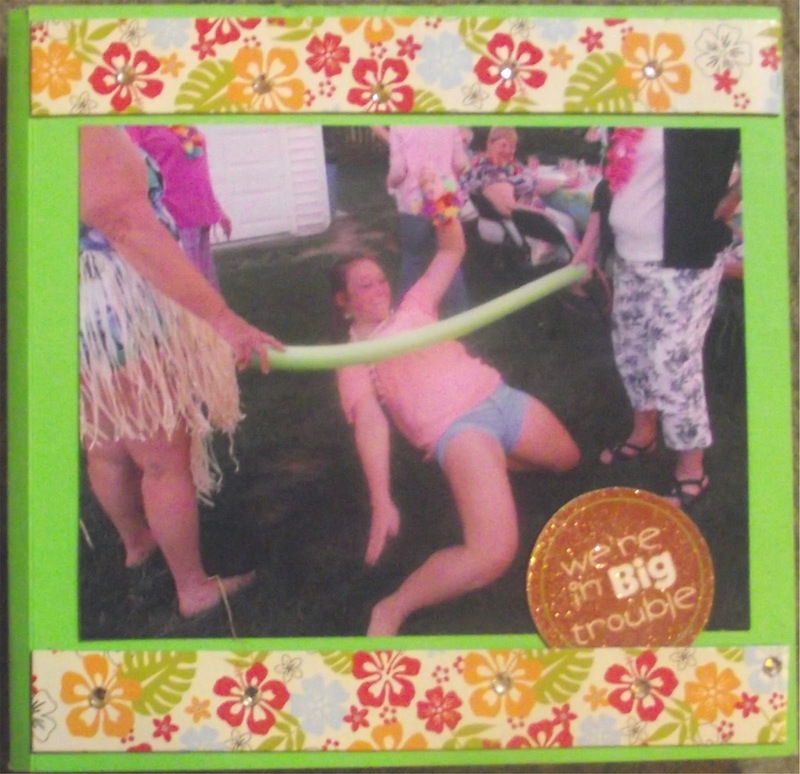 It is a gift for the hostess of our United Methodist Women's Summer Luau. Karen is indeed the Hostess with the Mostest! There were lots of Hawaiin decorations, leis, awesome food, swimming, fun and of course great friends. We each brought a dish to share. I brought an awesome Hawaiin coconut pineapple pudding that my friend Maraline gave me the recipe for. She lived for several years in Hawaii so she was the perfect person to help me! 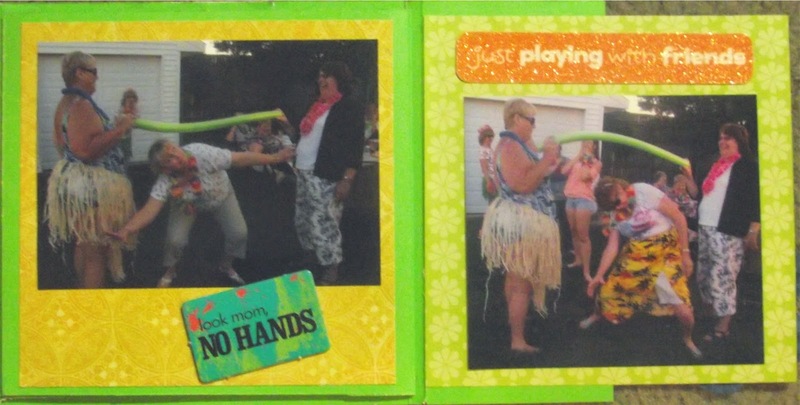 The little book shows off some of the fun and lots of the great ladies from my church. It's hard to get the real effect here because the pages all flip open to reveal others so on here some parts are blocked by others if that makes sense to you. I am entering this in Sketches4All Cheryl's August Challenge - use any kind of fabric. 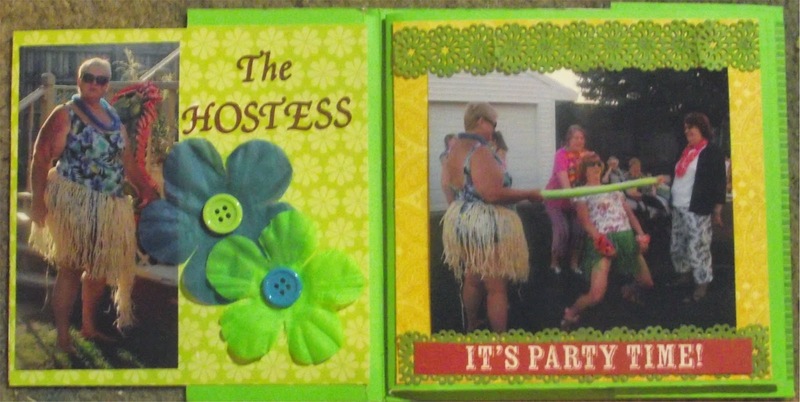 The fabric included in the book are the flowers which were on the luau lei's our hostess gave us when we arrived. I am also entering this in Word Art Wednesday Challenge #144 Anything Goes. I did another gift mini with Maraline for another friend from church who just had a brand new Granddaughter. So, please comeback tomorrow for more! I absolutely LOVE this, Paula!! Thanks for entering it in my August challenge!! Fabulous layout pages, Paula. I'm SO blessed that you were able to stop by and share your talents with us, and I look forward to having you visit and share again soon. I hope you're doing well.